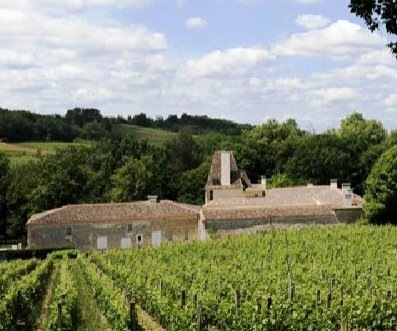 Chateau Jean Faux is an estate with a lot of history in the region, Located not far from Cotes de Castillon, the property dates back to the 18th century. The modern age for Chateau Jean Faux begins in 2002, when the vineyard was purchased by Pascal Collotte. With its park like grounds, the property is quite large, in fact it occupies close to 45 hectares in total. The estate was in poor condition at the time of the purchase. In fact, only 1.5 hectares were considered to be in good enough condition to produce grapes that were suitable to make wine at the time. One of the first decisions made by Pascal Collotte was to bring in the well-known team of consultant, Stephane Derenoncourt. The 11.5 hectare vineyard of Chateau Jean Faux is planted to 80% Merlot and 20% Cabernet Franc for the red wine. The vines are on average 25 years of age. The vines are planted to a density of 7,400 vines per hectare, which is quite dense for the Right Bank. 2 hectares of vines are reserved for white Bordeaux wine grapes, which are planted to 80% Sauvignon Blanc and 20% Semillon. The terroir of Chateau Jean Faux is clay and limestone soils. Since 2011, the property now farms using only 100% biodynamic farming techniques in the vineyards. To produce the wine of Chateau Jean Faux, the wine is vinified in temperature controlled, stainless vats that range in size from 40 hectoliters to 80 hectoliters. The grapes are whole berry fermented. Malolactic fermentation takes place in barrel. The wine is then aged in 40% new, French oak barrels for 12 to 14 months. Stephane Derenoncourt is the consultant. There is a second wine, La Dame, Chateau Jean Faux. On average, Chateau Jean Faux produces 4,000 cases of wine per year. Chateau Jean Faux is much better with at least 1-3 years of aging in good vintages. Young vintages can be decanted up to 1 hour allowing the wine to soften and open its perfume. Older vintages might need very little decanting, just enough to remove the sediment.Chateau Jean Faux offers its best drinking and should reach peak maturity between 2-7 years of age after the vintage. Chateau Jean Faux is best served at 15.5 degrees Celsius, 60 degrees Fahrenheit. The cool, almost cellar temperature gives the wine more freshness and lift. Chateau Jean Faux is best paired with all types of classic meat dishes, veal, pork, beef, lamb, duck, game, roast chicken, roasted, braised and grilled dishes. Chateau Jean Faux is also good when matched with Asian dishes, rich fish courses like tuna, mushrooms and pasta. Bright, yellow tropical fruits and citrus are paired with a touch of white peach and honeysuckle that will be perfect to drink on release. A lively, fresh yellow citrus and floral wine with a juicy, crisp character that delivers a hint of honeysuckle and vanilla with a squeeze of pomelo in the finish. Peak cherries, licorice and a hint of spice define the wine. This is soft, polished, approachable and already quite satisfying to drink. The wine is made from a selection of the estate's best parcels located on the plateau. Ripe red fruits with a hint of licorice on the front end, round and already user-friendly, the finish is all about the sweet, mid-summer cherries. You can drink this on release. Floral, licorice, spice and red fruits define the wine. Soft, polished and approachable, this is a nice charmer that will not need cellaring to offer pleasure. Forward, easy drinking wine, with a spicy, soft textured, black raspberry personality with hints of licorice and cocoa in the finish. What a great little Bordeaux value wine this has turned out to be. Forward, round and open, with lots of chocolate, licorice, black cherry and coffee. The fruit is soft and polished. Drink this on the young side to get the most from this blend of 45% Merlot and 50% Cabernet Franc and 5% Cabernet Sauvignon. With aromas of jam, licorice, black and red fruits and smoke, this supple textured wine ends with a fresh black cherry finish. Ready to drink, this crowd pleasing wine offers licorice, coffee bean, black cherries and earthy notes in its character. The wine is round, fleshy and affordable.